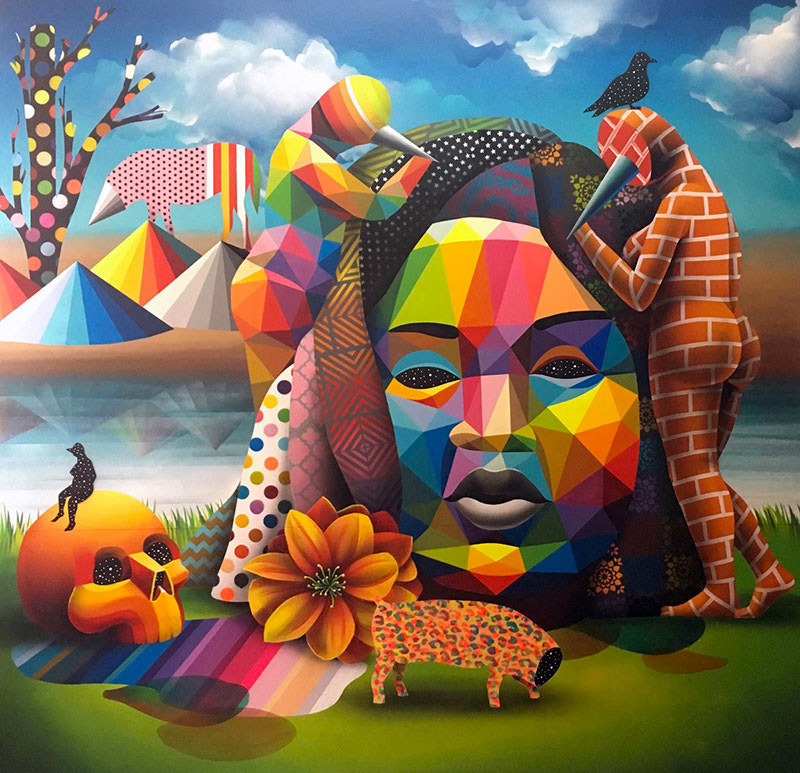 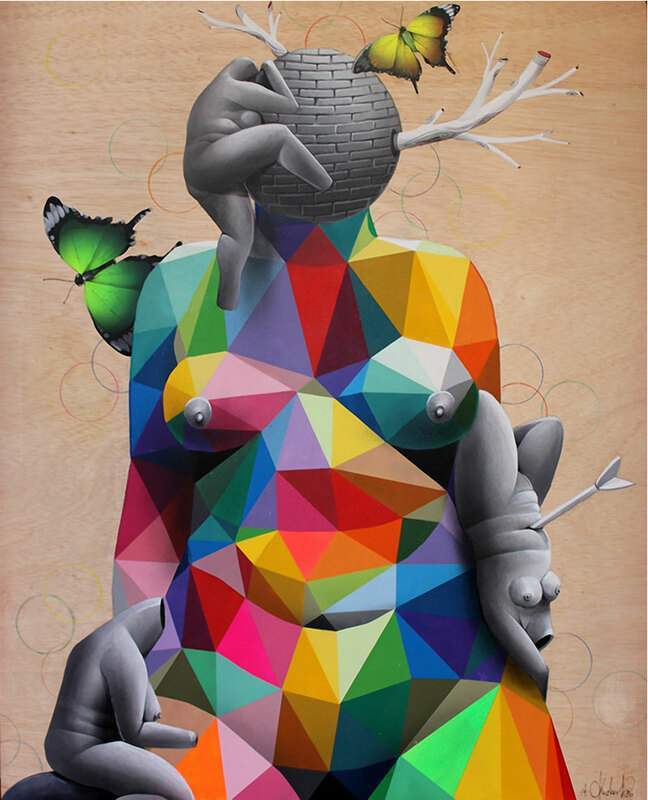 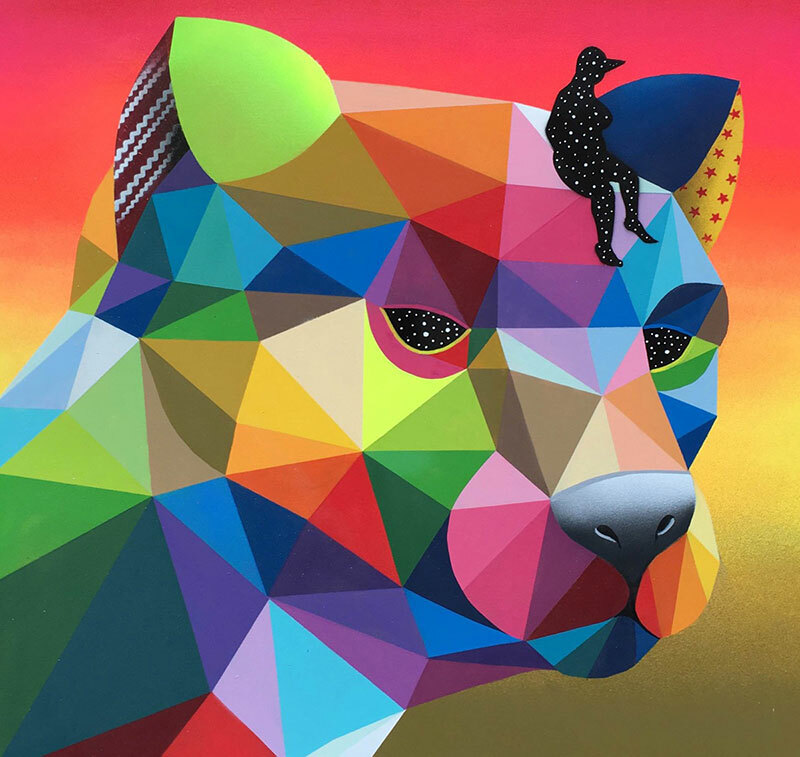 Vibrant paintings blending multicolored geometric structures with organic shapes, animals, and bodies without identity by Madrid-based multidisciplinary artist Okuda San Miguel. 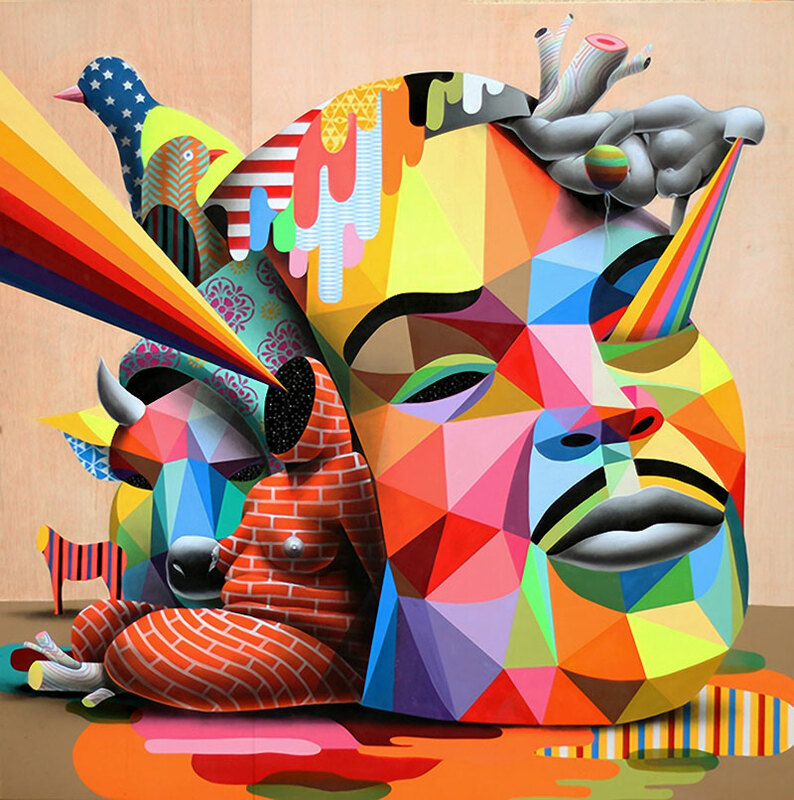 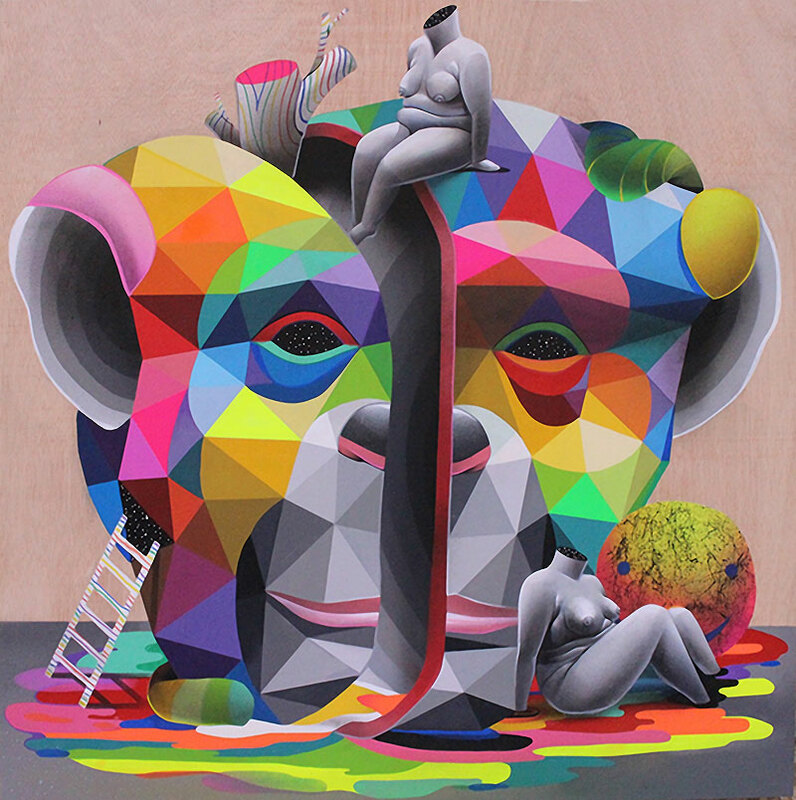 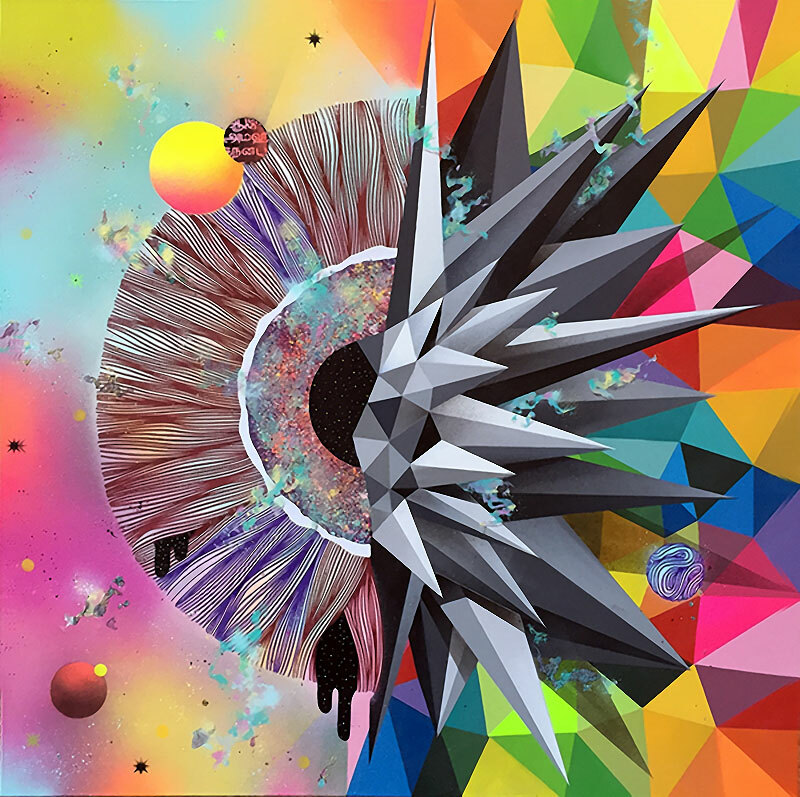 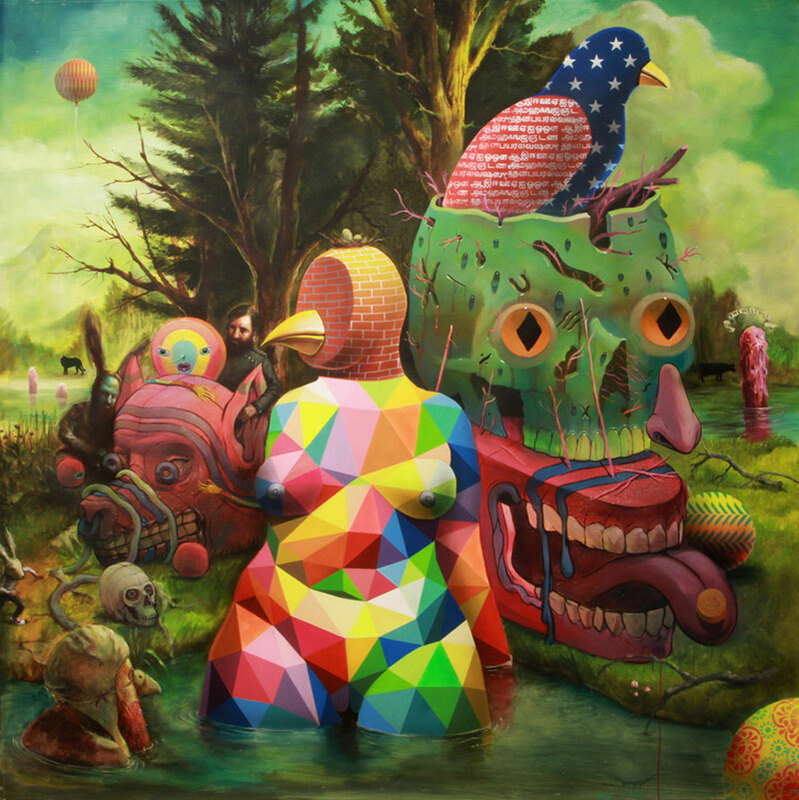 The geometric shapes consisting of colorful triangles, circles, and rhomboids combined with organic forms could be categorized as a Pop Surrealism with its essence from street art. 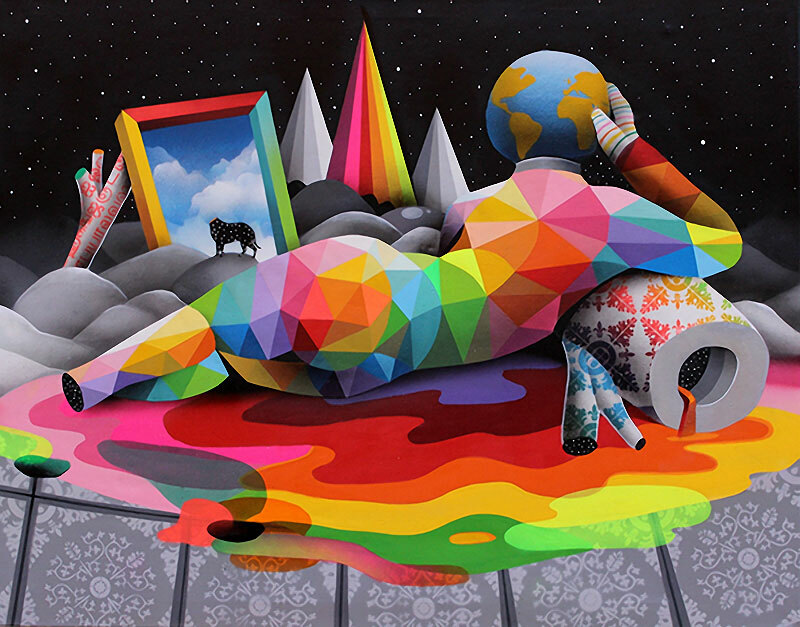 His work, with its own iconographic language, encourages reflexion and "raises contradictions about existentialism, the Universe, the infinite, the meaning of life, the false freedom of capitalism, and show a clear conflict between modernity and our roots; ultimately, between man and himself." 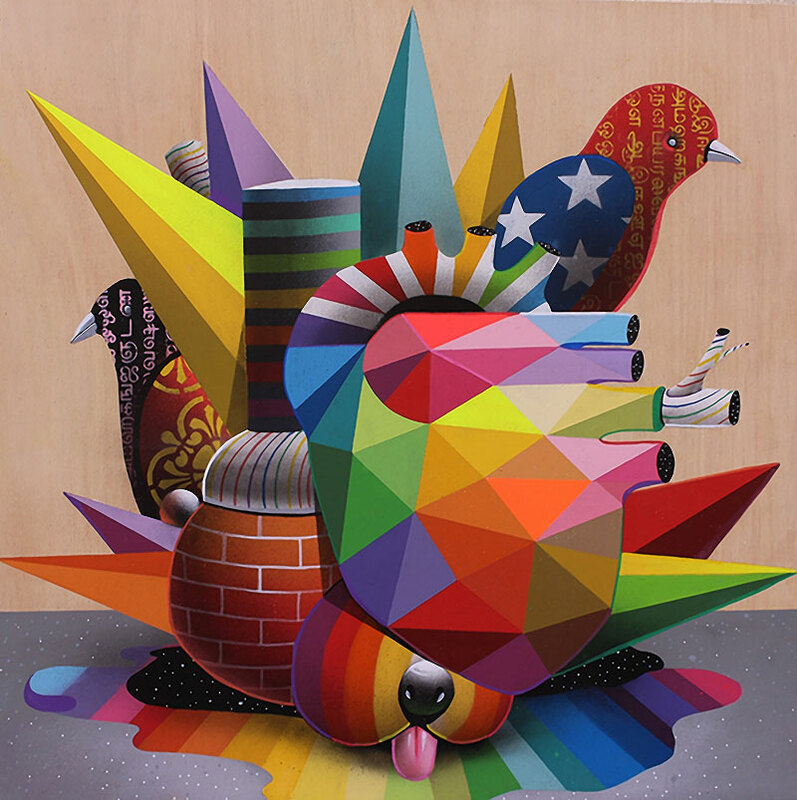 Vibrant paintings blending multicolored geometric structures with organic shapes, animals, and bodies without identity by Madrid-based multidisciplinary artist Okuda San Miguel.